Patrons & Friends of the Duchess Open Weekend at the West Shed Butterley on the 9th and 10th September. 24 Aug 6201 to feature at the ‘Patrons & Friends of the Duchess’ Weekend. 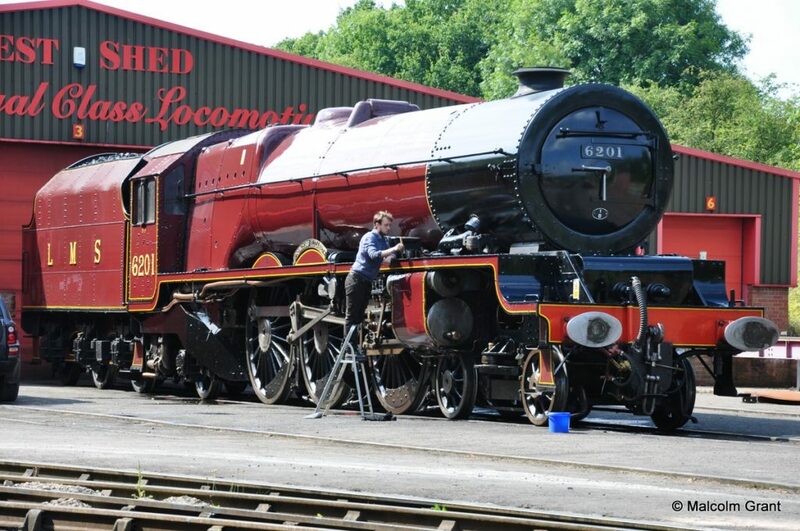 On the 9th and 10th September 2017 the owners of the West Shed Museum; the Princess Royal Class Locomotive Trust (PRCLT), are holding a ‘Patrons and Friends of the Duchess’ open weekend. We are delighted to announce the society have been invited to bring along our team and to display LMS No. 6201 Princess Elizabeth alongside fellow Stanier Pacifics 46203 Princess Margaret Rose and 46233 Duchess of Sutherland. So why not come along and see us at the West Shed where you can meet the 6201 sales and membership team. Entrance is free to the West Shed event, and everyone is welcome! The event is on 9th & 10th September between 11:00am and 16:00.